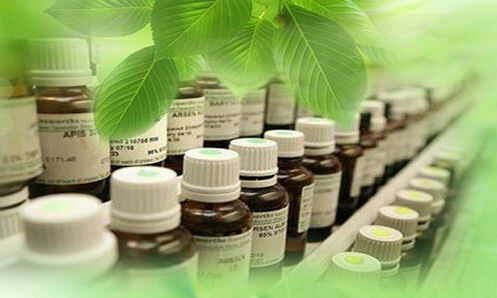 Homoeopathy is an effective system of healing which assists the natural tendency of the body to heal itself. It recognises that symptoms of ill health are expressions of disharmony within the whole person and that it is the patient who needs treatment not the disease. In 1796, a German doctor, Samuel Hahnemann, discovered a different approach to the cure of the sick which he called homoeopathy (from the Greek words meaning 'similar suffering'). Like Hippocrates two thousand years earlier, he realised there were two ways of treating ill health: the way of opposites, most commonly used by conventional medicine and the way of similars. Hahnemann discovered that by diluting and succussing (shaking) remedies, which homoeopaths call potentisation, not only produced fewer side effects but also produced better results. Homoeopathic remedies are predominantly drawn from the natural world and prescribed on the principle of treating "like with like" or the way of similars. During your homoeopathic consultation with Sue, you will talk not only about your current issues (physical, emotional, mental and spiritual) and also your medical and family history, the events of your life that have made you who you are today and how you respond to daily life and stress. She will match your unique picture with the most appropriate homoeopathic remedy, which will act as a catalyst to your own healing. I first became interested in homoeopathy nearly 30 years ago, when my two daughters were tiny. I was frustrated and felt completely useless at not being able to help them when they were ill, especially in the night. Dosing them with a common baby / child paracetamol syrup did not feel right to me. There must be more that I could do. I started using over-the-counter homoeopathic remedies: arnica for bumps and bruises, chamomilla for colic and pulsatilla when tearful and clingy with illness. I saw the positive effects very quickly. They were too young to understand what I was giving them, so it had to be more than a placebo effect. Eventually I decided to train as a professional homoeopath. Four years training at the London College of Homoeopathy, followed by an optional two years 'post-graduate' study with the Guild of Homoeopaths, being tutored by some of the UK's most experienced and talented homoeopaths. During this time, I began seeing my own patients, mainly from my home and established my own practice. I also started working part time at one of the world's leading homoeopathic pharmacies: Helios Homoeopathy Ltd, which was based only a couple of miles from my home in Tunbridge Wells. I underwent basic homoeopathic pharmacy training (as do all the staff there), but my role was predominately giving acute homoeopathic advice over the telephone and dealing with mail orders. 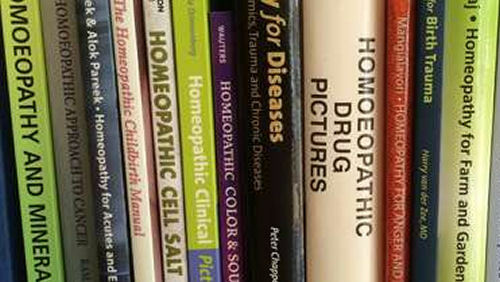 I was also privileged to assist the Guild of Homeopaths, by making many of the new remedies that they were developing. I playing a key role in the sourcing and potentising of several now well established remedies used throughout the world, including Sea Salt (Winchelsea), Sycamore Seed and Lumbricus Terrestis (earthworm). After eight years of practising as a professional homeopath I decided to take an extended sabbatical to pursue a more esoteric journey, which was increasingly becoming the focus of my interest and work. I left Helios and reduced my patient base to a minimum. For many years I held a senior Master Teacher position with the Diana Cooper School of Angels and Ascension, training others how to facilitate their own spiritual workshops and lead others into meditation. This took me all over the UK, as well as to the USA and South Africa. I also qualified as a crystal therapist and in several healing modalities, including angelic reiki, shamanic healing and magnified healing. However, my travel and teaching were relentless and became too much, eventually started to affect my physical health. There was too much stress in my life and I felt it was time to reduce my work load and re-focus. Eventually life completed a circle and I returned once again to practicing homoeopathy, but with a wealth of knowledge and understanding that I did not have previously. I returned to Helios Homoeopathy Ltd, where I still work three days a week. I started to see patients again, but only a limited number each week and cut right back on facilitating spiritual workshops. Now I feel I have a good balance in my life and feel comfortable with how I spend my time.